Water leaking from your LG washer model WM2701HV is never a good sign. Unfortunately, puddles around your washing machine can be caused by a number of possible malfunctions. While a faulty drain pump or a damaged hose are likely culprits, one often overlooked possibility is a broken inner boot seal clamp. If the clamp has loosened or completely snapped apart, a significant leak can occur. Although replacing the inner clamp requires disassembling a good part of your washer, it isn’t a complicated repair, meaning if you feel confident in your DIY skills, you should have no problem completing the job yourself. 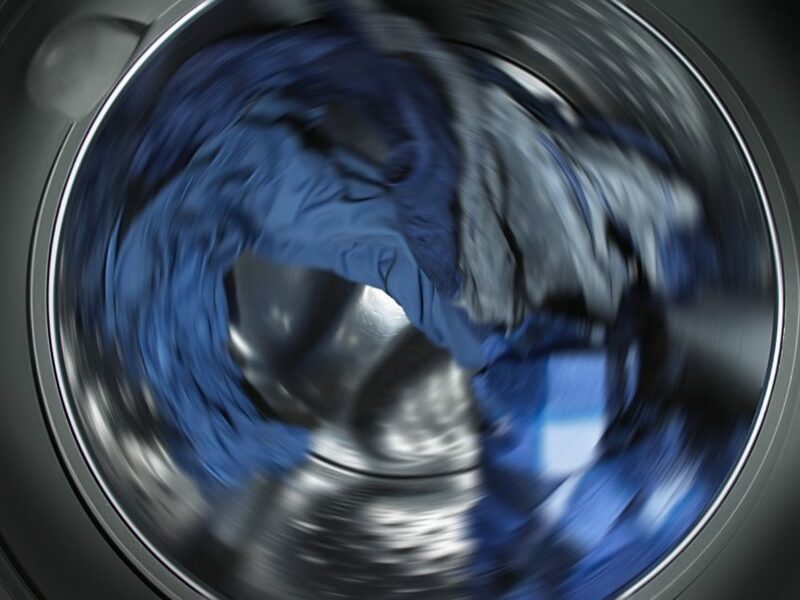 Before you start the replacement process, unplug your washer and turn off its hot and cold water supply valves. During the repair, as you disassemble your appliance, you’ll be working with sharp tools and objects. To ensure you don’t injure yourself, please wear work gloves and safety goggles. Special Note: To more easily complete this repair, we suggest purchasing a spring removal tool from your local hardware store or online. Open the pump filter door, which is located near the bottom of your washer, and detach the door from the hinges securing it to the front of your appliance. With the door out of the way, remove the small, rubber drain hose from the retaining clip holding it in place. Then, grab a plastic bowl or a towel, and place it under the drain hose. Next, pull the plug from the end of the hose out, and allow the water inside the hose to drain into the bowl or towel. Unthread the single screw securing the drain hose housing to the washer. Take the housing off the front of your appliance. Once the housing is removed, you’ll see another screw which is used to hold the front panel to the washing machine. Unthread the screw and take it off the front panel. Stand-up and open the washer door. At this point, you’ll need to use your spring removal tool to take off the outer boot seal clamp. Insert the points on the clamp into the two holes on either side of the spring. Then, using a good amount of force, squeeze the handle of the tool to disengage the spring and remove the clamp from the boot seal. Using a Phillips screwdriver, take out the two screws securing the washer’s door switch to the washer’s front panel. Once the screws are out, peal the boot seal off the edge of the door frame and tuck it inside the washer tub. Move to the back of your appliance and take off the washer’s top panel. To do so, unthread the screws securing the top panel to the rear panel. Then, slide the top panel towards you, and lift it up and off your washing machine. Next, head to the front of your washer and pull out the detergent drawer. Once the drawer is removed, you’ll see two screws on the left and right side of the drawer opening. Unthread both screws to free the detergent dispenser from the front panel. On the backside of the control board panel, take out the screws securing the panel to the washer frame. Then, disconnect the three wire harnesses running to the control board. Next, snap the control board panel off the front of your washer and place it somewhere safe and out of the way. Locate the drain hose at the bottom of the boot seal, and loosen the clamp securing the hose to the boot seal spout. Then, pull the hose off the spout. There are two more hoses connected to the boot seal. One on the left side of the seal and the other on the right side of the seal. Disconnect both hoses from the boot seal. Now it’s time to uninstall the inner boot seal clamp. First, insert a screwdriver into the small hole a few inches above the clamp spring. Then, place the ends of the spring removal tool into the holes on each side of the spring. Squeeze the handle of the tool and carefully unhook the spring from the top loop on the clamp. At this point, the clamp will be open and you can simply pull it off the boot seal. Pick up the new boot seal clamp and get ready to install it. Once again, you’ll need to use the spring removal tool and a screwdriver. To begin the installation, place the clamp on the boot seal. Next, insert the screwdriver and spring removal tool into the same holes they were in previously. Then, to close the clamp, stretch the spring, and hook it onto the loop underneath the screwdriver. With the new boot seal clamp firmly in place, you can start reassembling your washing machine. Reconnect all three drain hoses to the spouts on the boot seal. Make sure you secure them with the clamps you removed earlier; otherwise, your washer will end up with a new leak. Once the hoses are reconnected, align the front panel of the washer with the washer frame, and reattach the panel screws to hold the panel to the frame. Retrieve the control board panel, and snap it onto the front of your washer. Replace its screws, and reconnect the three control board wire harnesses. Reconnect the soap dispenser housing and slide the soap dispenser drawer back into the housing. Reinstall the washer’s top panel by placing it on the top of your appliance and sliding it forward to engage its locking mechanism. Then, rethread the screws that hold the top and rear panel together. Open the washer door, and push the door switch through the opening on the washer’s front panel. Once the switch is sticking out, rethread its screws to secure it to the panel. Then, pull the boot seal forward and reinstall it on the lip of the door frame. Before moving on, make sure the seal is positioned correctly. If it isn’t, you could end up with water leaking out of your washer’s door. Next, grab the outer boot seal clamp and your spring removal tool, and carefully reinstall the clamp to secure the boot seal. At the bottom of your washer, rethread the single screw that sits behind the pump filter housing. Then insert the housing into the opening and reattach the housing screw to hold the component in place. Next, retrieve the drain hose plug and put the stopper inside the hose. Finally, snap the small rubber hose into its retaining clip and reconnect the pump filter door. To complete your repair, plug-in your washer and turn its water supply valves back on. If the leak coming from your washer isn’t caused by a damaged inner boot seal clamp, and you can’t seem to locate the faulty component, please contact us to schedule an appliance repair appointment today.